McFarland, USA is Disney’s latest in a long line of feel-good “true story” family sports movies, and much like its predecessors, it’s a well-made, harmless, achingly positive distraction. 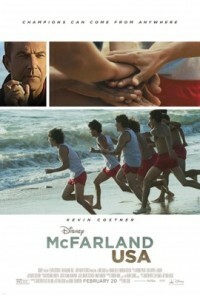 Kevin Costner plays Jim White, a passionate to-a-fault football coach who, after a long line of emotional discretions involving his team members (he’s no Terence Fletcher of Whiplash repute, but he does throw a shoe), is forced to take a job as a gym teacher in the town of McFarland, California. Having moved from an upper class area to a community that is much lower on the socioeconomic scale, Mr. White is a fish out of water, and a victim of his own prejudices. One day he sees that a fair amount of students choose running as their preferred mode of transportation (most McFarland families can’t afford a car), and decides to start a cross country team. From here, you can pretty much figure out exactly how this all unfolds. Director Niki Caro, who received acclaim for films like Whale Rider and North Country, manages to do something that I would have thought impossible: she makes cross country running cinematic. Even as a person who is wholly unfamiliar with the scoring process of a cross country meet, I was still able to grasp the urgency of each competition, and was able to feel the success/defeat beats appropriately. Coach White’s family has a storyline where they try to adapt to the local Hispanic culture, and it is equal parts hokey and heartwarming, as it should be. I did find Maria Bello a bit distracting, not because of her performance – she’s wonderful, as always – but because she looked physically ill throughout. Not very relevant, I guess, but her emaciated, tired look left me feeling concerned for the actress (I seriously hope you’re ok, Ms. Bello, I’m a fan) which did hamper my enjoyment to some degree. Still, she is a talent, and the relationship between her and Costner feels real. As they adapt to their new community, the process feels genuine. One of the aspects of the movie that I found commendable was its treatment of the concept of social privileges. In a world where the phrase “check your privilege” has become a conversation-ending trump card rather than a mind-opening conversation starter, it was refreshing to see the concepts of social advantages used in a way that doesn’t vilify anyone so much as explore what factors are to blame. Being the first movie I’ve seen that explicitly uses the term “privilege” in this context, it ran the risk of being a cheesy appeal to a popular red-flag word, but in execution was even-handed, tasteful, and in a way, revelatory. Each and every member of Coach White’s team has a full story arc, and short of a few moments where off-screen plot developments (or perhaps last minute cuts) escalate things unnaturally, the runners aren’t just a side story to Mr. White. In fact, despite being the centerpiece of the movie, the story of the White family is easy to ignore (we all know how it’s going to turn out anyway), while the events surrounding the student athletes are quite a lot of fun, and at times rather unconventional. 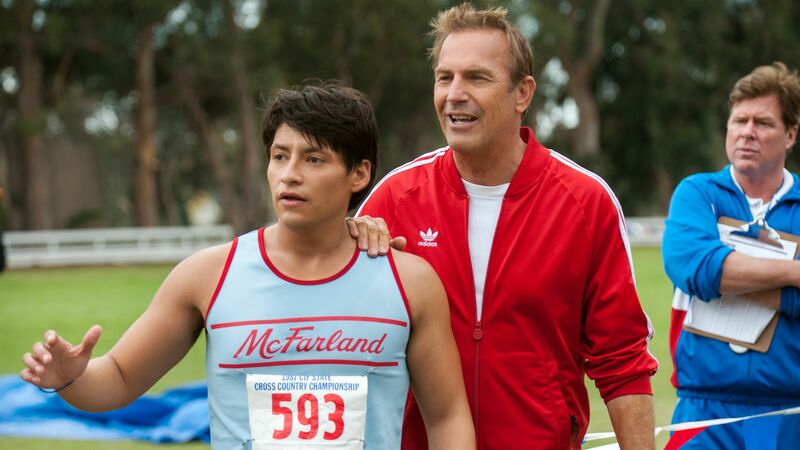 McFarland, USA is a basic, by the books, feel-good family film that has a higher budget and better director than most, a solid cast, and a decent amount to say. Even though I’m not the target audience, I can honestly say I enjoyed McFarland, USA. It’s exceptionally well-meaning and patently inoffensive. It’s nice to feel good. McFarland, USA opens today in Philly area theaters.